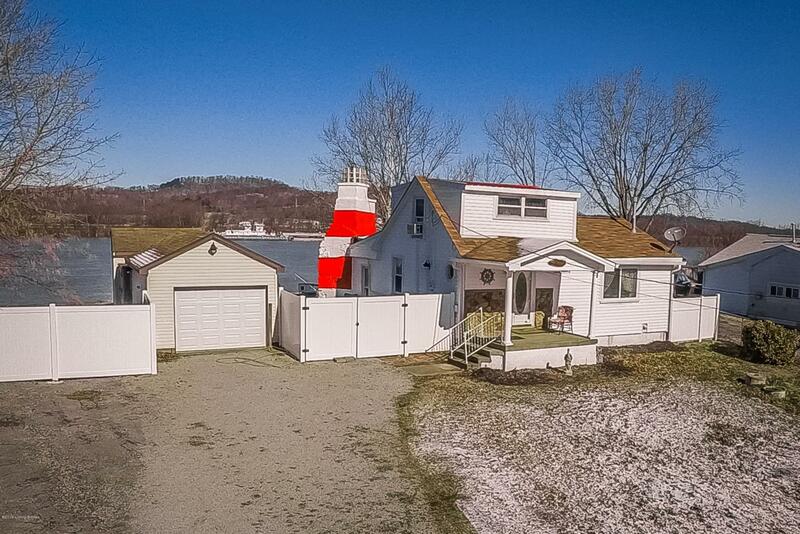 Adorable 2 bedroom 1 bath riverfront home with spectacular views situated on an extra large lot! This home has been renovated and updated with tasteful finishes and makes the perfect place to relax and unwind. A partial fence provides privacy while you sit outside or in your sun room and enjoy the view of river traffic or picturesque sunsets. The chimney has been painted to resemble a light house and even has a light on top! The living room has a cozy fireplace and large glass door and windows allowing lots of natural light to pour into the room. The kitchen has been updated and has stainless steel appliances and beautiful glass cabinet doors. There is a bedroom downstairs as well as another bedroom upstairs with a nice bay window with a view of the river.Don't miss out on your chance for this charming bungalow on the water! Schedule your private showing today!